How would you take your data from Stripe, dedupe, clean, and transform it based on a bunch of rules, enrich it with Clearbit, and push the results to Salesforce and Geckoboard? What would you do if you had to repeat the process every month, week, or day? Parabola was built to solve the headache of manual data processes like this. You can build unique data flows in minutes that pull data from other apps, transform that data in almost any way imaginable, then pipe it to its destination. The best part is, once you’ve built your flow once, you can set it to run automatically on any schedule. And you can do all of this without looping in a developer. It’s a complex product, and it took a ton of design iterations to get to where we are today. Here are some lessons we’ve learned trying to make this complex product feel simple and intuitive. Maintaining an effective IA is one of those balancing acts that is so hard to get right, so hard to maintain, especially when there are multiple teams working on different features with little communication between them. It takes a lot of persistence to not only improve, but also just maintain the effectiveness of your information architecture as your feature set grows. Too complex: If a product is too complex at first glance, it can feel overwhelming to the user as their eyes dart back and forth looking for the thing they’re currently interested in. Too simple: If a product is too simple at first glance, with the meat of the functionality buried, it can be cumbersome to use as you drill in and out of different parts of the product. 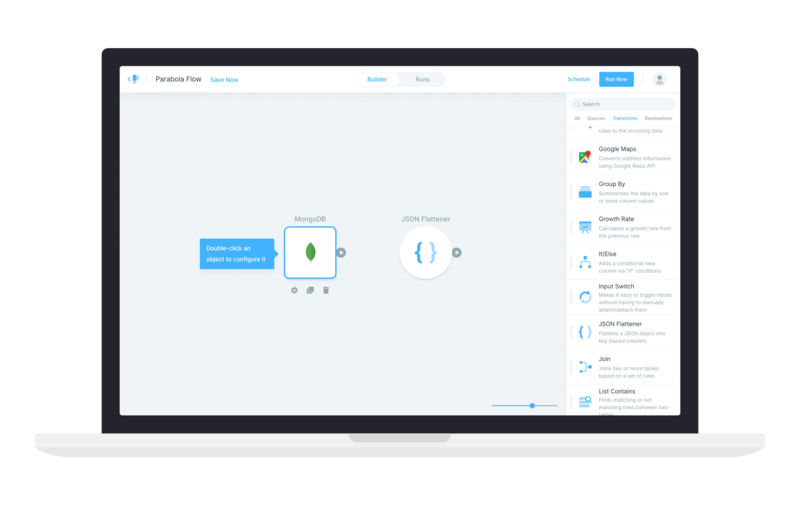 Just right: Your users can immediately get a sense for what they can do with your product, how they can do it, and they can get started with zero cognitive friction. You need to empathize with your customers, make their problems your problems, and you need to have a feedback loop in place that enables you to be constantly learning from them. Finding your just right information architecture doesn’t happen overnight, it more often comes after tons of iterations. This earlier prototype of Parabola shows just how many things we had competing for your attention. When new users landed on this screen for the first time, they were blasted with five separate panes, two of which had three separate tabs, a bunch of colors that didn’t really tell them much, and zero guidance for how to get started. We cut out all but one of the panes, simplified the objects on the canvas, and added tooltips to guide you along your journey to becoming an activated user. As new features are added to your product, you should analyze just how important they are to the product as a whole, and slot them into your IA accordingly. Every new feature you add steals attention from its adjacent features, so you need to be sure the trade-off is worth it. They can also change how your users think about your product, sometimes in unintended ways. With Parabola, we’ve cut a lot of stuff out in order to bring attention back to the features that support our key value proposition. 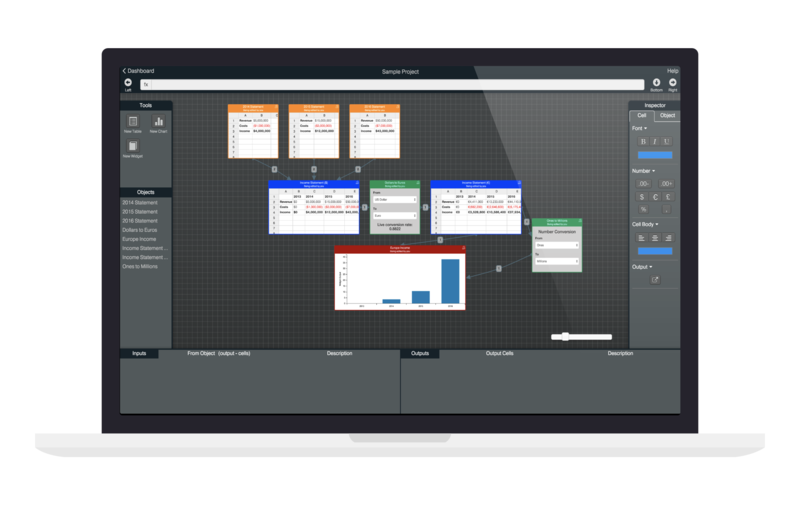 When we added charts and graphs, our users’ perception of our product went from a “tool to automate data processes” to a “tool to create data visualizations”. Which is not what we wanted at all. So after spending a lot of time building the feature and launching it to users, we ripped it out. Sometimes ripping out features can be just as important as adding new ones. The goal is, though, to not have to. Which brings me to my next point. It’s cheap and easy to send a survey to validate your ideas with user feedback. It’s expensive and slow to build something that your users don’t want. Use analytics data, user tests, and surveys to gather as much information as you can to effectively shape your roadmap to align with what you and your customers want your product to become. Visual design is often perceived as creating pretty illustrations and pixels, but it goes far beyond that. Creating a clean visual design language that is enforced across every component in your product will make everything feel more consistent and digestible. Every new UI element and visual style or color you introduce adds more cognitive load for the user, so it should be done sparingly. At Parabola, we have one shared Sketch library (what's that? ), which has every component we use in our app and all their different states. When we update a component in the library, it updates in all of our designs automatically. This is also why we decided to bundle our marketing site and app together in one repository. We want to ensure that as our users transition from our marketing site to the app, the visual language remains exactly the same (because they use the same code!). 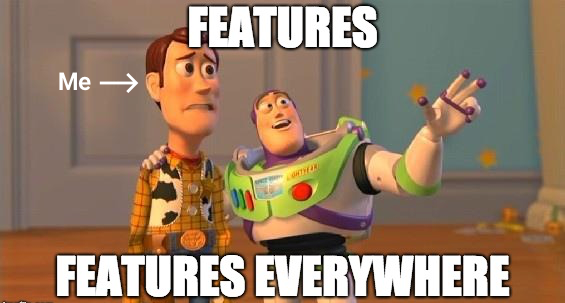 We don’t have to worry about styles changing in one repository but not in another. There’s no silver bullet when it comes to designing a great product. Great products are the result of thousands of improvements, hundreds of iterations, and talking to customers every step of the way. If you’re interested in Parabola, you can sign up for a 14-day free trial, no credit card required.